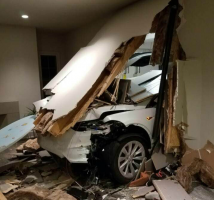 Tesla Model X owner Ji Chang Son says unintended acceleration caused SUV to crash into wall. December 31, 2016 — A Tesla Model X unintended acceleration lawsuit alleges the SUV "spontaneously began to accelerate at full power, jerking forward and crashing through the interior wall of the garage, destroying several wooden support beams in the wall and a steel sewer pipe, among other things, and coming to rest in Plaintiffs' living room." The plaintiff, Ji Chang Son, 46, is a South Korean celebrity who lives in California and who claims he was returning home with his son, Kyung Min Son, on September 10, 2016, when the Tesla Model X slowed to about 6 mph while turning into the driveway to pull into the garage. Son says the Model X began to accelerate at full power and crashed through the interior wall of the garage, destroying everything in the path of the SUV and finally stopping in the living room. Both occupants were trapped inside the SUV because wooden support beams were blocking the doors, all while smoke was flowing into the vehicle. Believing the SUV was going to go up in flames, Kyung Min Son crawled out a window and ran to the other side to help his father escape. The unintended acceleration class-action lawsuit says Tesla has sold about 16,000 Model X SUVs in the U.S., all that use electronic acceleration control systems by which complex computer and sensor systems communicate an accelerator pedal’s position to the computers, telling the SUVs how fast they should go. 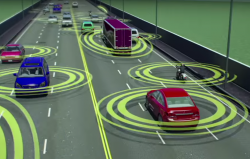 The plaintiff says he cannot understand why the SUV didn't automatically stop when the technology is already there to prevent these incidents. Tesla equips its Model X vehicles with automatic emergency braking (AEB) where the computer uses a camera and radar sensor to determine the distance from objects in front of the vehicle. When a frontal collision is considered unavoidable, AEB is designed to automatically apply the brakes to reduce the severity of the impact. 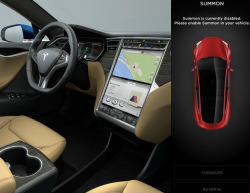 However, the lawsuit alleges "Tesla has programmed the system to deactivate when it receives instructions from the accelerator pedal to drive full speed into a fixed object." The plaintiff says Tesla has failed to create computer algorithms to eliminate the danger of full power acceleration into fixed objects. The proposed class-action lawsuit lists complaints submitted to the National Highway Traffic Safety Administration (NHTSA) concerning unintended acceleration events in 2016 Tesla Model X SUVs. In one report, a Florida Model X driver says they were pulling into a parking space when the SUV suddenly accelerated, went over a five-inch concrete curb and knocked over a concrete light pole. Tesla allegedly told the driver the logs from the SUV showed the vehicle was traveling at 6 mph, then the accelerator was pressed to over 50 percent and then to 87 percent, accelerating the SUV to 20 mph before it abruptly stopped. 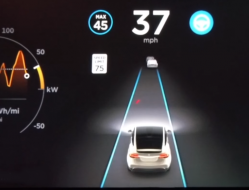 The driver says Tesla then provided a letter with different log reports, this time saying the vehicle speed was 7 mph and the accelerator pedal going from 3.2 percent to 15.6 percent and finally to 100 percent, with the car stopping at 14 mph. "I informed Tesla that I am positive beyond a shadow of doubt that the cars [sic] electronic throttle computer was responsible for the accident which they deny. 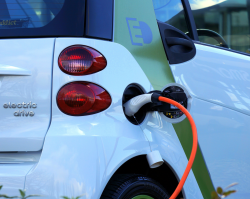 This appears to be the industry standard since experts will testify that although a car is responsible for unintended acceleration there will be no traceable evidence of that responsibility and therefore the manufacturer has plausible deniability." 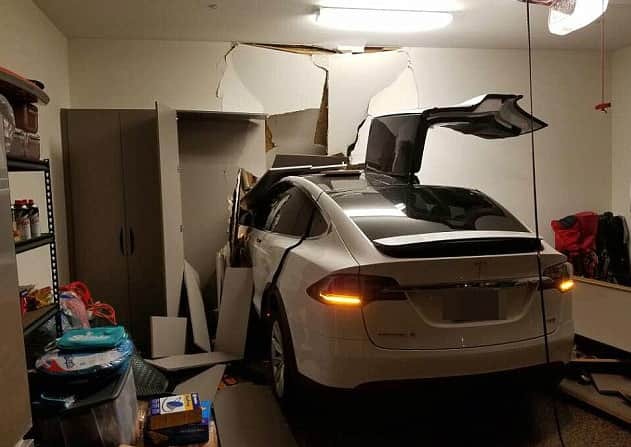 Separately, a Massachusetts Tesla Model X driver told NHTSA that while pulling into a garage, the SUV accelerated with "extreme force" simply from lightly pushing the gas pedal, causing a crash into a large concrete pole that was inside a garage. 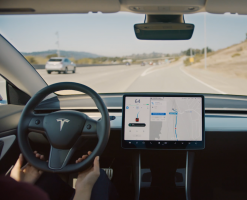 Tesla allegedly told the driver over the phone the vehicle data logs showed the driver pressed the accelerator pedal 100 percent and then tapped the brake pedal before impact. A month later Tesla sent a letter saying the logs showed the driver pressed the accelerator 100 percent until the Model X sensed a crash, a different explanation than the driver was told on the phone. The report to NHTSA says Tesla "refused to provide data about accelerator/brake percentage and car speed for the car earlier in the day. If a driver is pressing the pedal 100% it is a very deliberate action. This is a failure of the accelerator and the automatic braking. The car accelerated on its own and crashed full force into a large concrete pole." Another complaint filed with the government says a New York driver of a 2016 Model X pulled into a parking spot with their foot lightly on the gas pedal, moved their foot to the brake pedal and the SUV lurched forward while speeding up, all while the driver said their foot was on the brake pedal. The Model X allegedly went head-on into a concrete building, crushing the front of the SUV and causing the airbags to deploy. In addition to hitting the building, the driver said a gas pipeline was struck by the bumper. Another person told NHTSA an investigation should be opened because while Tesla says the data logs show 100 percent accelerator application, the problem can be caused by dirt or "whiskers" on sensors, leaving the vehicle logs unable to show if it was an electrical glitch or pedal error. As for Ji Chang Son's Model X lawsuit, Tesla responded by saying the data logs from the SUV show Mr. Son pressed the accelerator pedal 100 percent to the floor, sending the SUV through the wall. The lawsuit seeks damages for product liability, breach of warranties, negligence and other unspecified damages. The Tesla Model X unintended acceleration lawsuit was filed in the U.S. District Court for the Central District of California - Son et al v. Tesla Motors, Inc. The plaintiff is represented by McCune Wright Arevalo, LLP, and Stradling Yocca Carlson & Rauth, P.C. CarComplaints.com has complaints about Tesla vehicles.